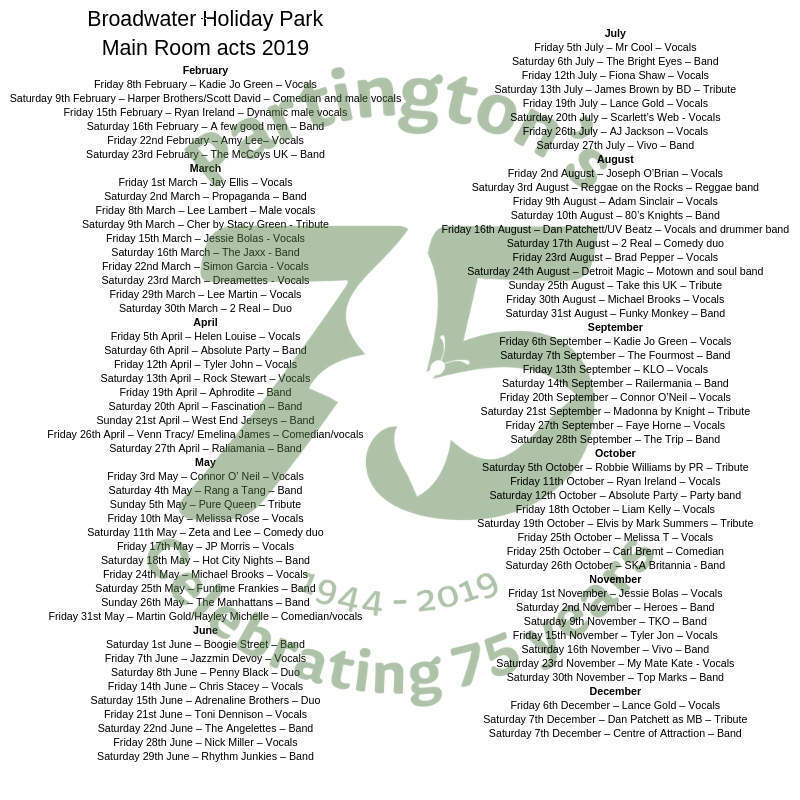 With the start of season fast approaching here is your full Main Room entertainment for 2019 at Broadwater, Windy Harbour and Newton Hall Holiday Parks. 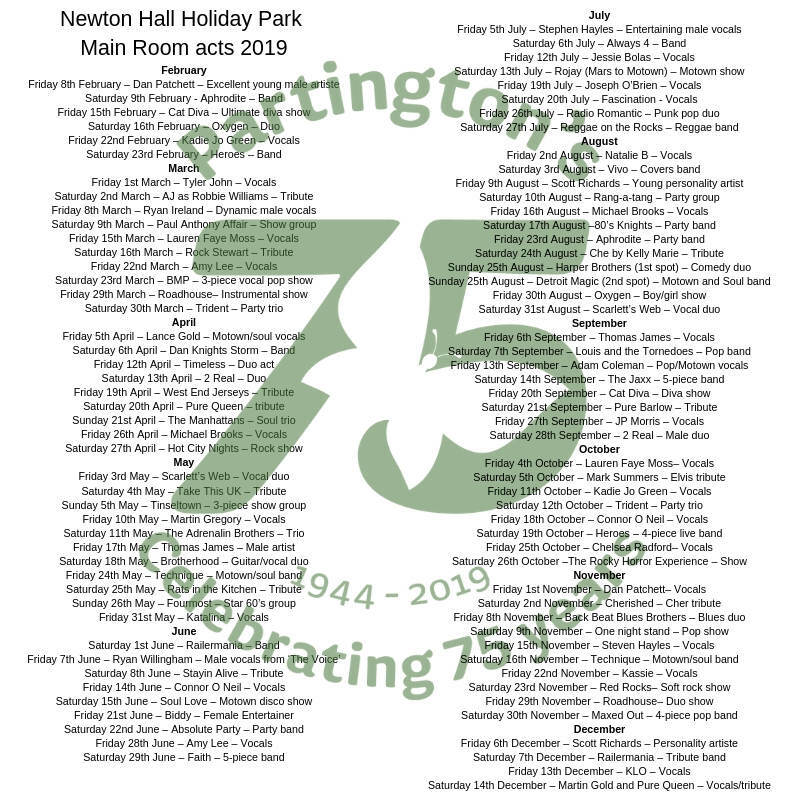 We can't wait to welcome our customers back to Park for our 75th year of celebrations, here is your Main Room entertainment list for 2019. Join us in the Main Room for superb live acts, tribute acts and a few surprises! 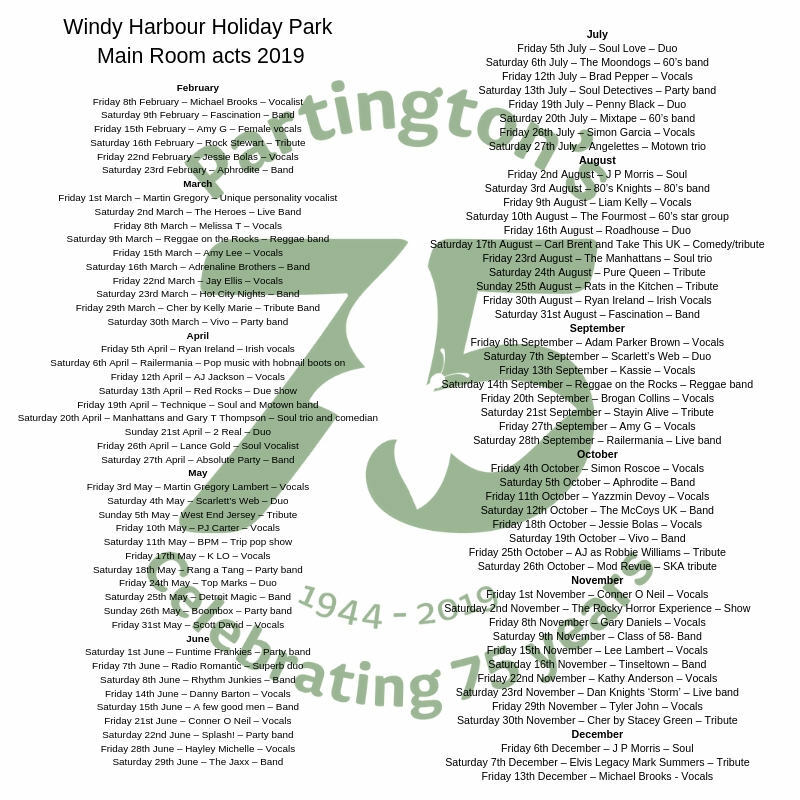 Please note this is a guide for 2019 and acts may change closer to the time, so please check with your Park reception for more details.